NEW YORK TIMES BESTSELLER The ultimate guide to animal flatulence: the perfect gift for anyone who has ever farted. Dogs do it. Millipedes do it. Dinosaurs did it. You do it: I do it. Octopuses don't (and nor do octopi). Spiders might do it: more research is needed. Birds don't do it, but they could if they wanted to. Herrings do it to communicate with each other. At the beginning of 2017, an innocent question on twitter about snakes formed the hashtag #doesitfart and spread pungently across the internet - and major newspapers - as dozens of experts weighed in on which animals do and don't fart, and if they do, how much, how often, what it's made of, what it smells like, and what it's for. Does it Fart? 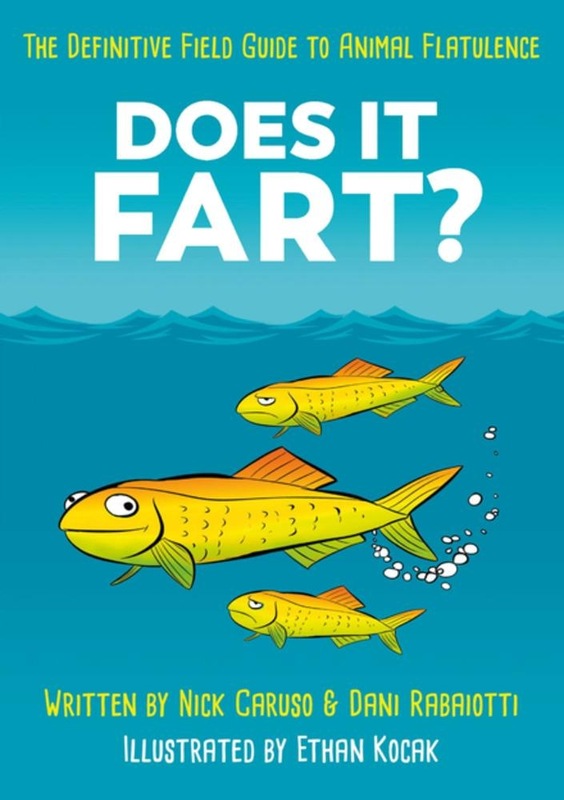 is the result: the fully authoritative, fully illustrated guide to animal flatulence, covering the habits of 80 animals in more detail than you ever knew you needed. What foods make hyena farts smell especially bad? What is a fossa, and does it fart? Why do clams vomit but not fart? What is a fart, anyway? With contributions from dozens of biologists, Does it Fart? is a book that will allow you to shift the blame onto all kinds of unlikely animals for years to come. Acquista Does It Fart? in Epub: dopo aver letto l’ebook Does It Fart? di Nick Caruso, Dani Rabaiotti ti invitiamo a lasciarci una Recensione qui sotto: sarà utile agli utenti che non abbiano ancora letto questo libro e che vogliano avere delle opinioni altrui. L’opinione su di un libro è molto soggettiva e per questo leggere eventuali recensioni negative non ci dovrà frenare dall’acquisto, anzi dovrà spingerci ad acquistare il libro in fretta per poter dire la nostra ed eventualmente smentire quanto commentato da altri, contribuendo ad arricchire più possibile i commenti e dare sempre più spunti di confronto al pubblico online.